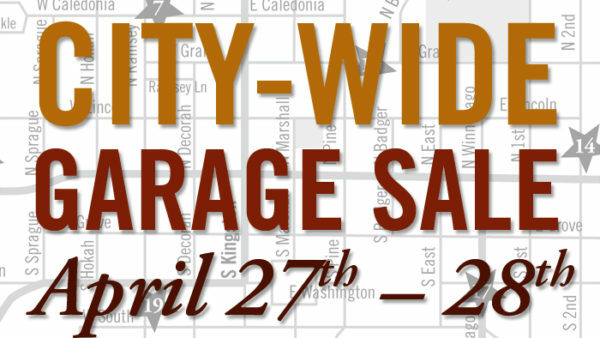 The Spring Caledonia City-Wide Garage Sale is scheduled for Thursday, April 25th through Sunday, April 28th! Cost of being included in the Garage Sale map is $15. Information and payment is due to Touch of Whimsy (located at 115 E. Main St) by Wednesday, April 17th, 2018. Contact email touchofwhimsy@yahoo.com & phone 507-269-7249. A reusable yard sign will be issued to each paying participant with corresponding number which matches the printed listing. The signs are due to be returned to Touch of Whimsy by May 23rd, 2019. A $20 deposit is due at the time of picking up the sign. The deposit will be returned when the sign is returned. If the sign is not returned by May 23rd, the deposit will be forfeited.